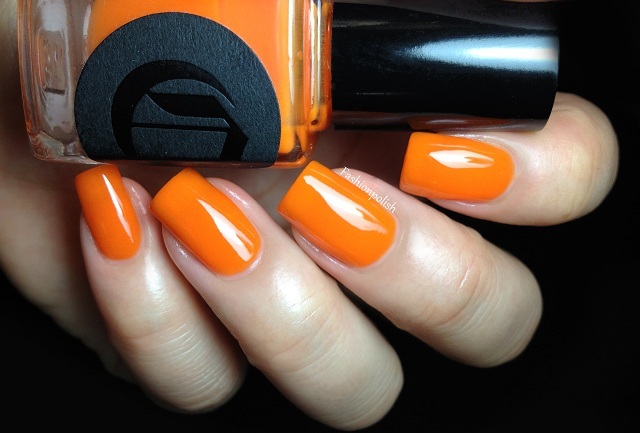 Fashion Polish: Cirque Colors All Hallow's Eve for Halloween 2012 and a GIVEAWAY!!! 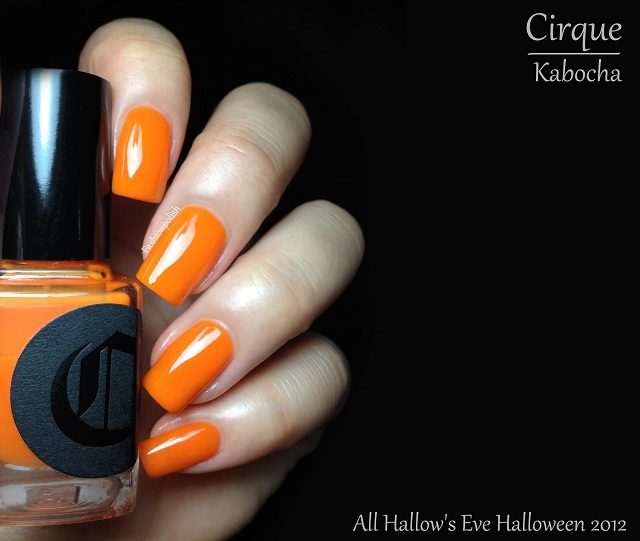 Cirque Colors All Hallow's Eve for Halloween 2012 and a GIVEAWAY!!! 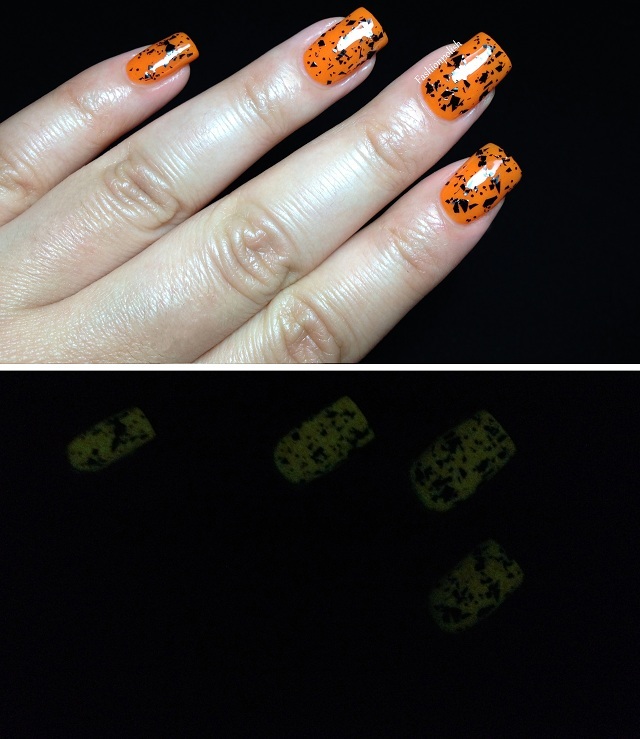 Kabocha is a bright orange jelly infused with glow in the dark particles. If you've never used such polish before, you basically just have to "charge" them next to a light source, be it natural or artificial and then simply enjoy them for a few moments in the dark. 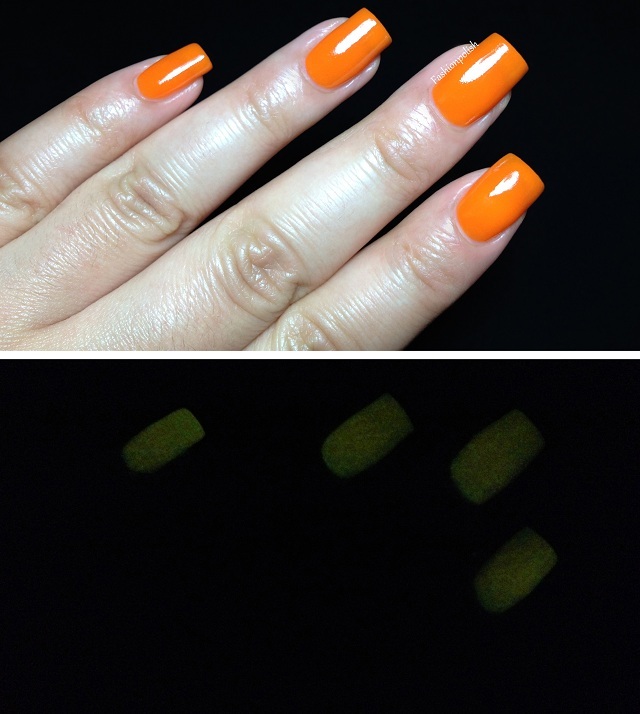 In terms of formula, Kabocha was on the sheer side and still showed VNL (Visible Nail Line) at 3 coats. It dried very fast to a semi matte finish with a slight "texture" showing some of the glowing particles but a layer of topcoat perfected the manicure. This is 4 coats plus topcoat. 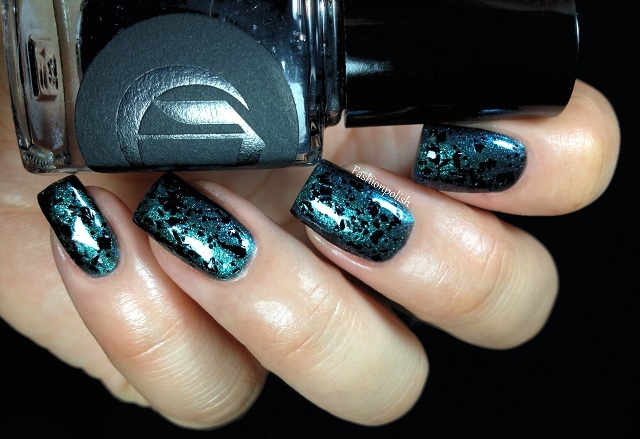 Neko is a black shredded glitter in a clear base. Actually, it's more complex than that : black shredded glitter yes but not only, it also contains small hex and medium square glitters, making it a rather sophisticated polish and although similar, not a true dupe to Icing Black Shredded, as it's been called. Formula was perfect, thin and easy to work with, delivering the perfect amount of glitter with a single layer. This is one coat of Neko over Cirque Epoch and 2 coats of topcoat. I am in love with both of these polishes! Neko is a gorgeous layering glitter and Kabocha a buildable glow in the dark, if you've tried glow in the darks before, you know how rare that is. Yes, they do have a few flaws as slight particle settling or a 4 coats coverage for Kabocha but oddly I really don't mind that much, a good shake and an underwear will totally do the trick. 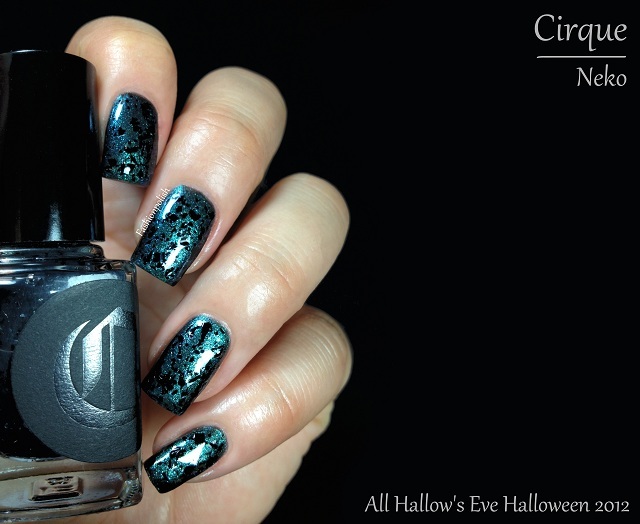 The All Hallow's Eve Limited Edition polishes retail for $12 each and can be purchased directly from Cirque Colors (international shipping) or through authorized distributors. 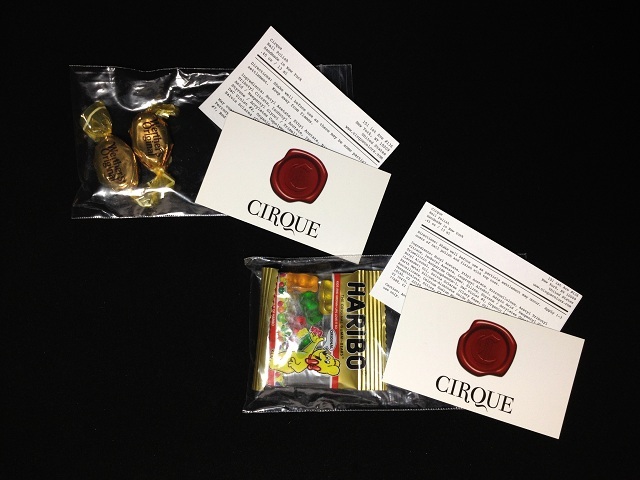 Just a quick note : the gorgeous black packaging that you see on top of the review is Cirque's Press Kit. Unfortunately, you will not receive one with your order as it wouldn't be economically viable for the brand but I can assure you that each order is packaged with care and even includes a few "sweets". And now, your chance to win them! Annie, has generously offered to giveaway a set of her All Hallow's Eve collection to one lucky reader! The giveaway is open internationally and without any restrictions until September 30th. The set will be sent directly from Annie, however if you live in Italy or Brazil, please allow additional delivery time to receive your prize as I will be forwarding it to you. There aren't any major requirements : just be a follower to my blog (you're welcome to join now of course!) and fill in the form. I would also very much appreciate if you followed me through the other communities mentionned on the form for 1 extra entry each but that's not mandatory, it just helps give exposure to my blog and allows me to offer good quality content. I will randomly pick the winners on October 1st and they will have 48 hours to answer. Good luck everyone and THANK YOU for reading my blog! How awesome! I want these and thanks for the giveaway! Amazing giveaway Sam!!! I'm in love with Cirque Neko, especially with Epoch! That black glitter looks gorgeous! Great swatches as usual. Thanks for the contest! I love the layering that you did with Neko! It's a beautiful effect that I've never seen anywhere else! Wonderful swatches. I LOVE Neko over Epoch! Must try! I think they are all gorgeous! OMG Neko is just simply amazing - love it so much!!! Maybe this time I can! Thanks for sharing these wonders. Hey Sam! Your Pinterest link wasn't working for me. Just wanted to let you know. Thanks for this great giveaway! it's intersting that the orange is a jelly and that it glows in the dark! I also love shredds!! And the glitter is very beautiful! Thank you so much for allowing us Italian (and Brazilian) polish addicts to enter the giveaway, offering to forward the goodies to our countries. I Loooooooooooooove your pix! I wish i could get mine to look so good! Oh! and I think I entered my Instagram info incorrectly it's sassypaints2012 and I think I put my pinterest name - tehnadonkelly by accident! Sorry! Thank you for the chance!